Others only know how to exploit us. "अपनी कमियों को केवल हम दूर कर सकते है और कोई नहीं। बाकि सब केवल इनका फायदा उठाना जानते है। अरविन्द कटोच"
"It's only we, who can overcome our shortcomings and no one else. Others only know how to exploit us. 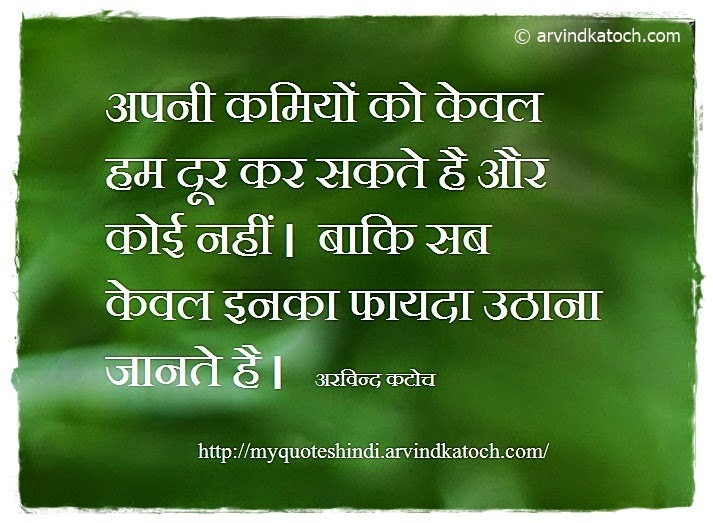 Arvind Katoch"